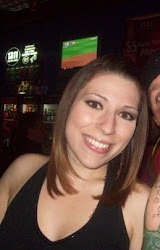 This post will be one of the more exciting I have written because I am having my first giveaway! First things first though! 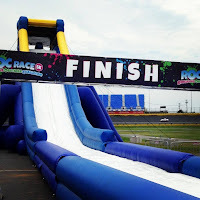 Sunday afternoon, I ran the ROC race for the first time at the Motor Speedway in Charlotte. 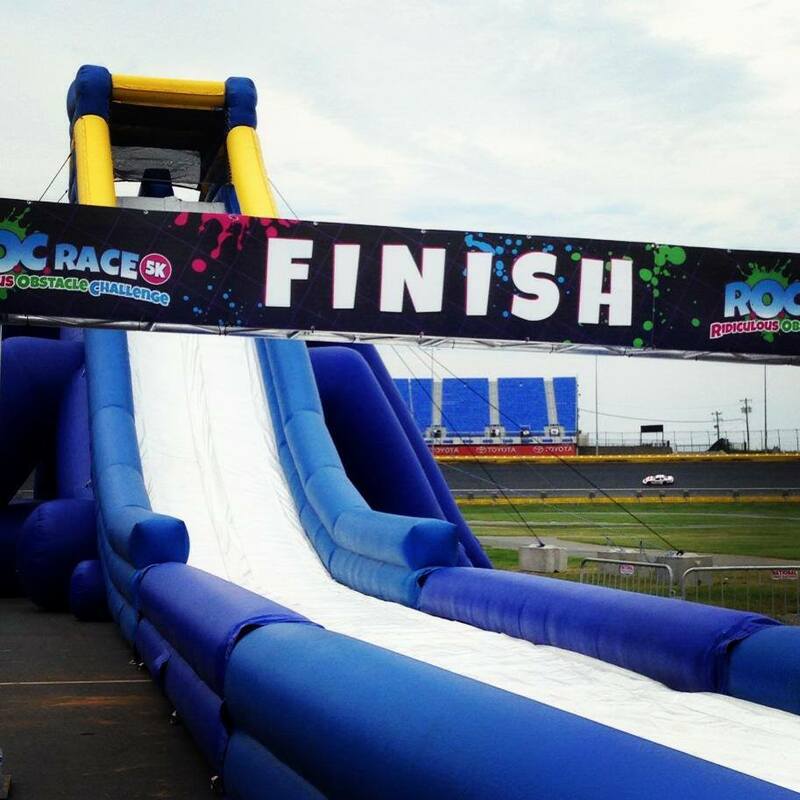 ROC stands for Ridiculous Obstacle Course Race and it certainly lived up to its name! It was an obstacle race like the Spartan Race but much more focused on family fun than training like a beast. A-Roo! 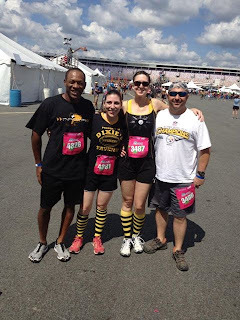 We ran the race with our friends Stan and Krista and it was their first obstacle course race, they were tired, wet and ready to sign up for the next one. We were team United Steelers Nation since all of us have lived in Pittsburgh and are huge Steelers fans! The race itself was so much fun, I couldn't have a camera since there were quite a few water obstacles but to give you an idea, we got to finish by going down the worlds largest inflatable waterslide! We swung across water moats, walked tight ropes and ran across a huge moon bounce! By the end, we were covered in suds, water, dirt and had an awesome time! Now to the really exciting part! 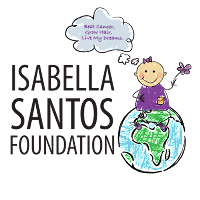 I have been lucky enough to be given the opportunity to provide one of my readers with a free race registration for the Isabella Santos Foundation 5k on September 21st, 2013 in Ballentyne Corporate Park. 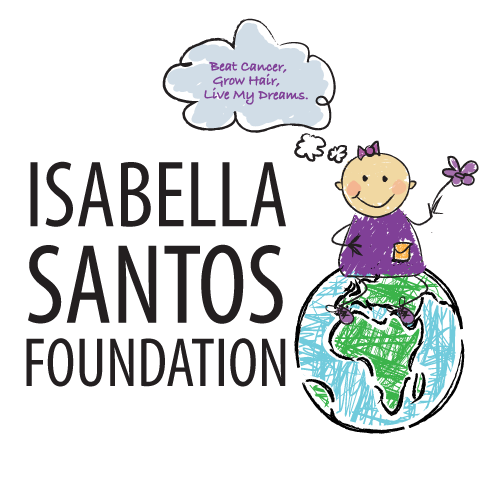 The annual 5K for Kids' Cancer is an event that the Santos family started shortly after Isabella's diagnoses to raise funds for pediatric cancer research, as they quickly found that funds and resources for this particular cancer (and most pediatric cancers for that matter) were few and far between. The race has brought much of the Charlotte community together over the past 5 years, and last year's race was the most successful yet, bringing in 1,600 participants and raising over $200,000. - There are many great raffle and silent auction items being donated by businesses and individuals throughout Charlotte. In addition, the silent auction will be hosted on a cool, new online app and this will be the first race ever to use it! 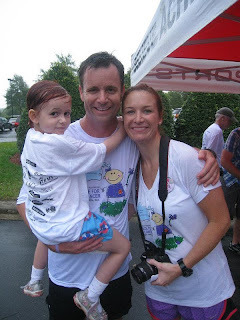 - Out-of-town supporters have the option to sign up for the race as a "phantom runner" and will receive an ISF T-shirt that they can wear at a race of their choice in their local community. How do I Enter to Win a Free Race Entry? Leave a comment on this blog post below and tell me why you want to run this race. Maybe it's your first 5k, maybe you have been effected by cancer, maybe you just like free stuff. No answer is wrong! I will pick a winner and announce it on my blog on September 1st, 2013. So make sure to check back and see if you won!